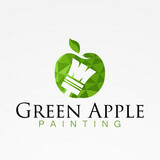 At Green Apple, we want to change our customers painting experience. By taking an eco-friendly approach to renovation, we use paints that contain zero, or low VOC's products to help maintain a healthy environment for you and your family. 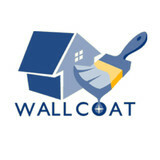 Aside from focusing on interior, exterior, and fine high end painting, we also specialize in drywall repair, power washing, deck maintenance and restoration, staining, sheetrock, faux paint, wallpaper removal and much more. No matter what your vision is, we are here to work with you. We provide color matching and consulting which creates the ultimate combination of amazing quality, impeccable service, and sustainable practices. 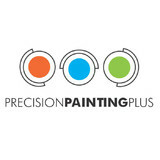 From new to old, big to small, Green Apple Painting offers you a personal touch and a professional performance. Give us a call for your free estimate! Silva's Painting takes pride in being a leading full-service painting and home improvement company that provides the highest quality painting services, professional preparation and application at the most competitive price. We specialize in Interior Painting, Exterior Painting, Commercial Painting, Residential Painting, Eco-painting, Faux & Decorative Finishes, Color Consulting, Staining & Varnishing, Wallpaper Hanging & Removal, Power Washing, Wood Refinishing, Carpentry, Plaster Repair, Sheetrock/Drywall Hanging & Repairs, Epoxy Floor Coatings. 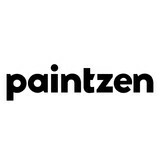 International fine artist whose artwork has been reproduced in Europe and the United States. Rita creates fine art and decorative designs customized specifically for clients and interior decorators who seek unique works of art that encompass the beauty of nature. Her intention is to transport the viewer into a homespun relaxing atmosphere of gracious warmth and comfort.